Did anyone else feel like January was 100 years long? I thought January would be a slightly slower month as people got back into the swing of things after the holidays. I gained two new clients at the start of the month and it was crazy! Definitely not complaining, though. I’m really excited to work with these new clients and they should keep me pretty busy going forward. Like the previous few months, I didn’t get a lot accomplished on my to-do list. Settling into a routine has been a bit of a struggle, but I think I’ve finally nailed it down so hopefully I can be more productive in February and going forward. 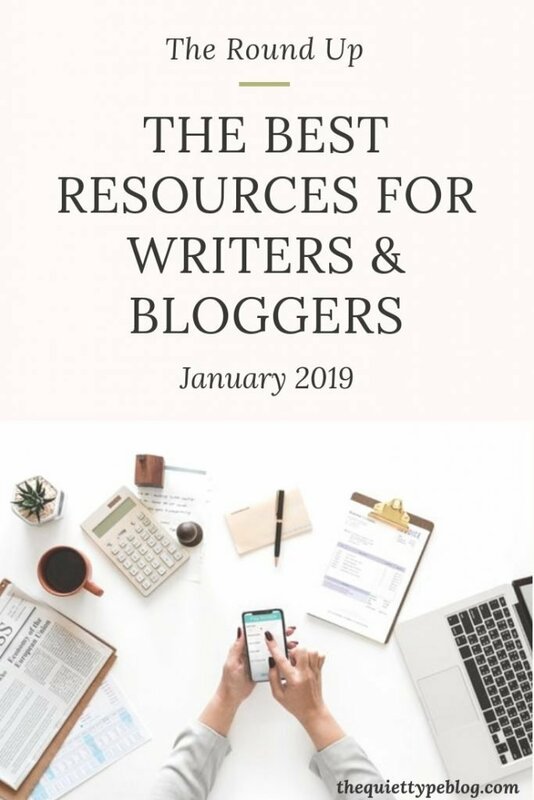 Luckily, I did manage to devote some time to my blog, find great new resources, explore other blogs, and read some awesome books. So, here we go! Once again, I didn’t accomplish very many of my January goals. Like I mentioned, January was an unexpectedly busy month for me. 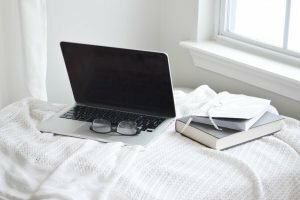 Umm…so my business goals completely tanked in January! I did start working on my website towards the end of the month but it still needs a bit of work. I didn’t publish as many posts as I wanted to, though I did reach my goal of 4 for the month. In January, I published a total of 6 new posts. 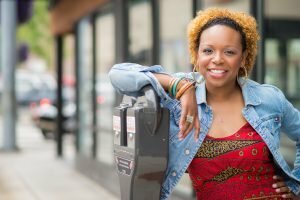 I’m also pretty excited because these include a couple of guest posts as well as the launch of my new interview series, Creatives in the Spotlight. Grammarly – I’m still using the Grammarly Chrome Extension and I love it more than I did last month! It works kind of like spellcheck does but I like it because it picks up on more grammar and structure mistakes than regular spellcheck. It also has a built-in thesaurus, which comes in handy. I also really like that it sends you weekly stats so you can track how many words you wrote. Wave – It’s tax season and I don’t know where I would be without my accounting software from Wave. Throughout 2018, I was able to keep track of all my expenses and income which has been so helpful in keeping things organized. Everything is organized into expense accounts and types of sales, too. Now I can either print off my financial statements to hand over to my accountant or grant her access to my account. Evernote – I’ve been using Evernote to keep track of information for Creatives in the Spotlight and it’s worked perfectly. I’m able to keep a separate “notebook” and create tables, a schedule, and notes. *This was one of my January Book of the Month Club picks. Sign up to be a BOTM member using my link and get a free book! I have two magic moments from January! I was invited to create two guest posts in January. The first was for Trendy Simple Life, which was 10 Ways to Find Inspiration When You Feel Stuck. The other was for 3MP/Studio, which was 8 Things Successful Creative Entrepreneurs Do. They were so fun to write! My other magic moment was launching Creatives in the Spotlight and opening The Quiet Type up to guest bloggers. I’m really excited to share stories, tips, and advice from other creative entrepreneurs. 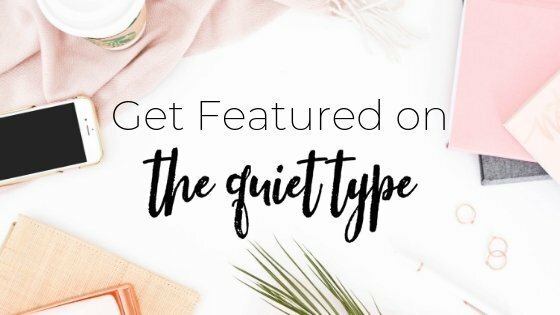 You can check out the series here or click here to learn how to get featured on The Quiet Type. 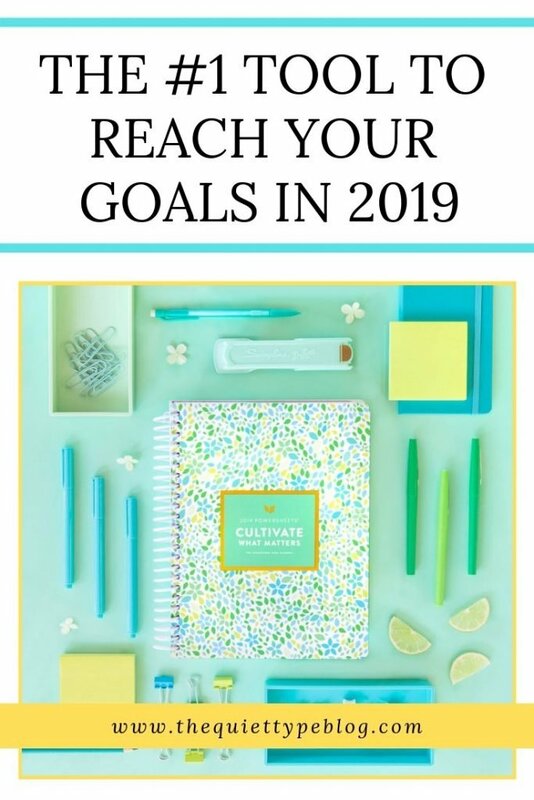 I also am changing the format a little bit because I invested in a Powersheets planner from Cultivate What Matters for the new year. I’ve been loving this planner so far! 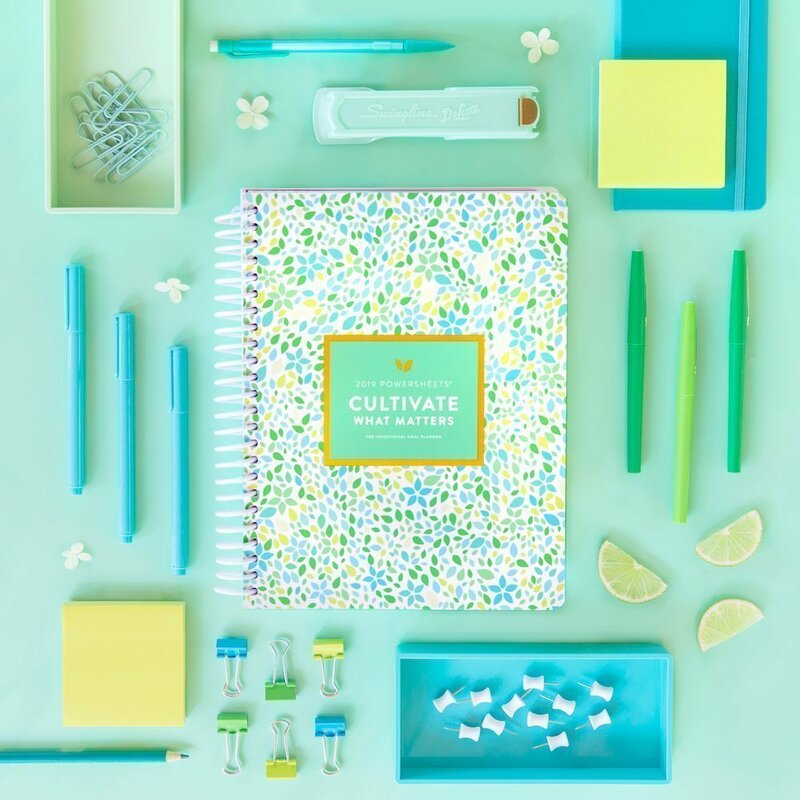 It hasn’t replaced my favorite, go-to planner—The Daily At-A-Glance Planner, though. Note: The 2019 Powersheets planner is sold out, but if you want to try it out you can still purchase the 6-month undated planner. It’s perfect for people starting later in the year! Now, let’s get to the goals! This is probably an obvious choice, but my top priority in February is launching my new website. My goal is to have it fully designed and up and running by February 28th.